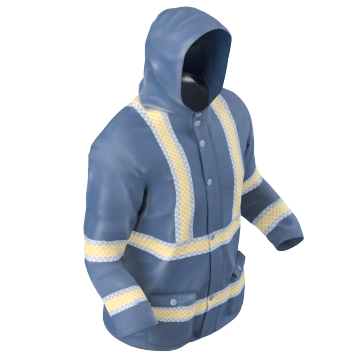 Covering the torso and arms and extending to the waist, these jackets keep you visible and help you stay warm in cool environments. They fit over clothing, and usually have a front opening with a zipper, buttons, snaps, or other fastener. Some styles have features such as a collar, hood, or multiple pockets. 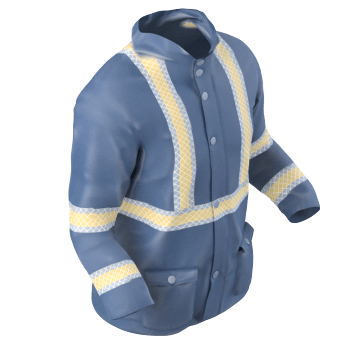 By wearing these Class E jackets along with a Class 2 or Class 3 garment, the ensemble will meet a Class 3 designation according to ANSI standards for high-visibility clothing. They do not meet the standard when worn alone. 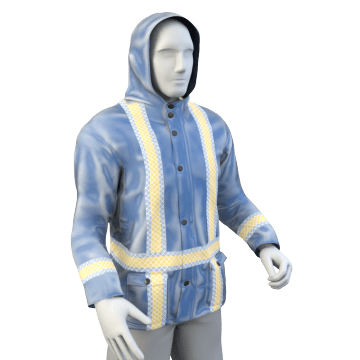 Complying with ANSI standards for Class 3 high-visibility clothing, these jackets contain more high-visibility material than classes 1 and 2 to offer visibility in complex backgrounds and through a full range of body movement. They can be used in roadway (Type R) or public safety (Type P) environments, in accordance with the minimum amount of high-visibility material they have. Among jobs that call for Type R apparel are roadway construction, parking and toll gate operation, crossing guards, towing operators, and airport baggage handlers and ground crew. Type P apparel is typically worn by law enforcement and emergency response personnel, firefighters, and accident site investigators. A step up from Class 1 apparel, these jackets meet Class 2 requirements in ANSI standards for high-visibility clothing. They contain more high-visibility material to provide better definition of the human form. Class 2 apparel offers the minimum level of protection recommended for workers exposed to roadway rights-of-way and temporary traffic control (TTC) zones. 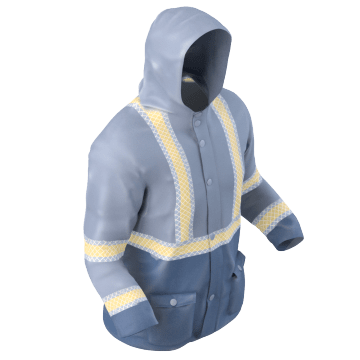 These jackets are rated for use in either roadway (Type R) or public safety (Type P) environments, depending on the amount of high-visibility materials they contain. Among jobs that call for Type R apparel are roadway construction, parking and toll gate operation, crossing guards, towing operators, and airport baggage handlers and ground crew. Type P apparel is typically worn by law enforcement and emergency response personnel, firefighters, and accident site investigators. 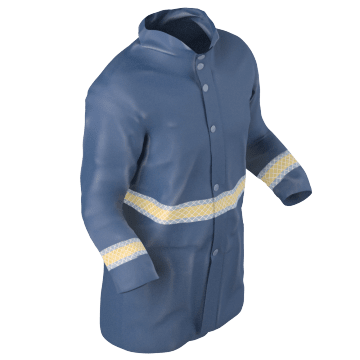 Designated as Class 1 in accordance with ANSI standards for high-visibility clothing, these jackets have the minimum amount of high-visibility materials to differentiate the wearer from non-complex work environments. They are for off-road (Type O) use only in applications such as retrieving shopping carts from parking lots and working near warehouse traffic or in oil and gas extraction, refineries, and mines. 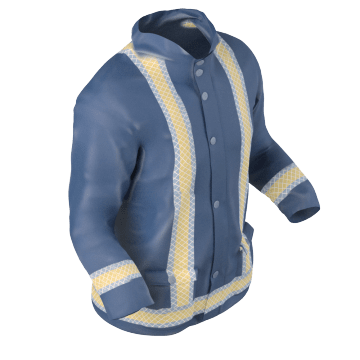 Wear these jackets for general use in applications where you don't need to meet particular high-visibility standards but still want to help distinguish yourself from your surroundings.